Get the thrill of a lifetime by getting behind the wheel of a ROUSH® performance vehicle at our ﻿﻿﻿﻿﻿﻿﻿﻿﻿﻿﻿﻿Ford dealership in Barrie, ON﻿﻿﻿﻿﻿﻿﻿﻿﻿﻿﻿﻿. ROUSH vehicles are inspired by life on the track, combining race-proven technologies with advanced automotive engineering. The result? High-performance, customized vehicles that are truly one-of-a-kind. Learn more about the founder of Roush Performance, Jack Roush, and how you can get your hands on a ROUSH vehicle of your own at Barrie Ford. You may recognize the name from Roush Fenway Racing, a NASCAR® team that has earned seven championships and been a dominant force in the racing world. With more than 400 wins worldwide, Roush holds the professional record for any racing team, spanning across multiple racing segments. In all, ROUSH Performance normally builds about 1,500-2,000 vehicles each year, all of which varying between the Mustang and F-150 platforms. 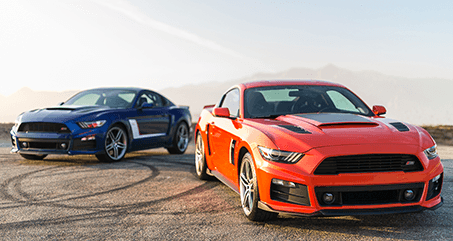 For more than 40 years, ROUSH and Ford have been changing the way driving enthusiasts everywhere take on the road ahead. Jack Roush founded ROUSH Performance in 1996 in Plymouth Township, MI, as he had a relentless passion for racing and competition. 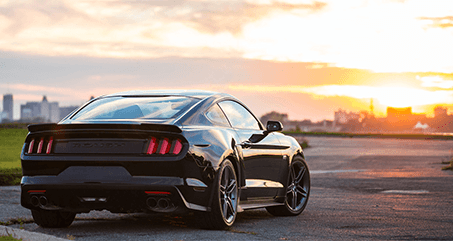 Since, it has grown into a world-renowned company known for its expansive catalog of performance parts for Ford vehicles -- plus the special ROUSH edition Mustang and F-150 models. Upcoming models you can keep an eye out for include the 2018 ROUSH F-250 Super Duty and the ROUSH F-150 Raptor. All of these customized models come with the ROUSH 3-year/36,000-mile Powertrain Warranty and are even uniquely serialized by ROUSH Performance. Contact Barrie Ford to get more information on ROUSH Performance vehicles. Meet the perfect combination of race car and road car by buying a new ROUSH vehicle now! - Jack Roush was inducted into the Automotive Hall of Fame in 2017, an honor reserved for only about 800 people to date. - ROUSH Industries employs more than 4,000 people across four continents. In addition to performance vehicles, the company also specializes in tooling and design, engine development, military projects, space project development and testing, as well as testing and quality work for the "Big 3" auto companies. - Every ROUSH vehicle is built "pre-title" before it's purchased by the customer. ROUSH is also a MOR (Manufacturer on Record), a distinction that not many companies can claim. This gives you confidence knowing these vehicles are held to the highest of standards. - Every ROUSH vehicle comes with free ROUSH Road Crew membership for one year. This means you can take part in numerous events with other RRC members who share your passion for ROUSH Performance vehicles. - ROUSH Performance is committed to the progression of automotive technology and engineering, and they promise to push the limits to provide every customer with a truly unique driving experience.